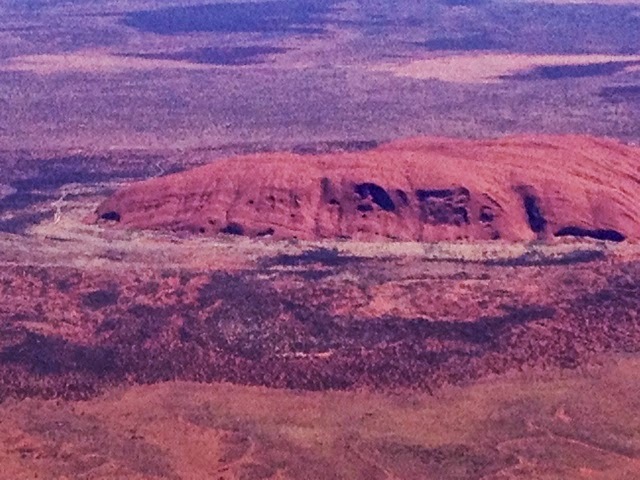 Uluru or Ayers Rock is a sacred mountain located in the Northern Territory of Australia. 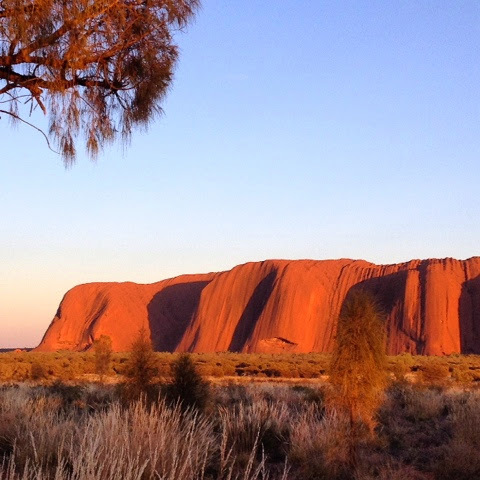 This iconic symbol of Australia is part of Uluru-Kata Tjuta National Park, a protected area and a World Heritage site. I joined the many visitors that come to photograph this natural phenomenon at sunrise, sunset and in-between. Standing in front of the monolithic rock and taking a photo of its changing color at sunset and sunrise made me understand why the local Anangu people consider it a sacred place. The rock undergoes dramatic color changes - to flaming red behind the sunrise, bluish and purple at mid-day and orange at sunset. Aside from photographing this natural beauty I walked the base which measures about 5 kilometers. 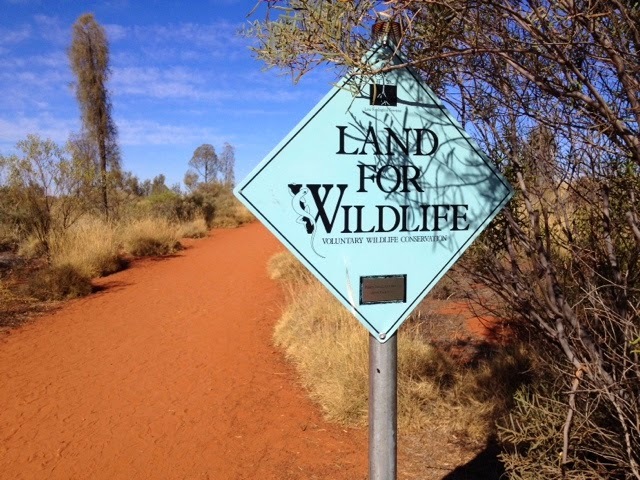 Both natural and cultural points of interest are well-marked. We see rock arts, carvings and paintings, cave used as a school room, kitchen. We ended the walk at the watering hole. Photography is not allowed at certain areas. The local people believe that the area is the home of their ancestors and very sacred to them. #1. The rock is purplish-blue in the evening of our arrival. I love walking the terracotta path near our campsite/resort.